​Who are we? We are the FOSHAY SUGAR & SPICE Girls! ​ We reflect great team work, self-improvement, persistence, hard work, strong character, and distinctive individuality. We do not depend on others for academic and personal needs or wants but succeed through our own perseverance, strength, and determination. We strive for global knowledge and deep understanding that will help us to go above and beyond in everything we do. We fight for what's right using our minds, not our fists and we speak with honesty and confidence. We believe that everyone is of the same equality no matter the ethnicity, gender, look, or level in society and that the start to making the world a better place, is by changing ourselves. Throughout our entire school year, we WILL continue to echo our school motto, "to get better every day" because the Foshay Sugar & Spice Ladies do not submit to injustice, laziness, and pessimism. Instead, we rise to challenges, treat everyone fairly, and encourage and respect each other no matter what. ​Hi, I'm Lillian H. and I am currently in 7th grade. I'm one of the web designers for this team. This means that I gather information for this website and upload them onto the pages. I LOVE reading and creative writing. I really enjoy writing small stories or creating a skit. When I grow up, I want to become a computer scientist, architect, or author. ​Hey guys! 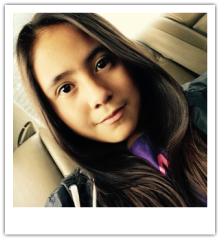 I'm Julissa R., I'm a 7th grader, and I'm the fun one on the team. My job is file management. What that means is that I take control of all the gmails on the team and I also made the team gmail. I do research and I put it on our Google Docs so we can put it on this website. I want to be a fashion designer when I grow up. I want to be a fashion designer because I like clothes and I want them to be made the way I want them. ​​Hi, my name is Katherine O. My role on the team is being a Web Designer. That means that I am in charge of making sure there are no mistakes on the website. I really enjoy hanging out with my friends and watching animals. I'm in 7th grade and when I grow up I would like to be a biologist or a veterinarian. 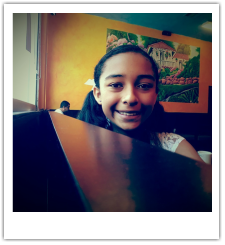 Hello, my name is Sarai M. I'm a 7th grader from Foshay Learning Center. I'm in charge of recording the video, editing it and sharing it on social media. A few of my career interests are business, computer science, and engineering. Another thing that interests me is incorporating technology into wearable garments. ​Hello, my name is Kiana A! I am a 13 year old/7th grader at Foshay Learning Center. My job on the team is to post on social media. My interests are: books, bands, musicals, art, piano, etc. At the moment, I want to be a marine biologist and/or a cognitive therapist. Hey! 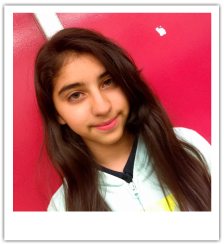 My name is Miss Lydia, and I'm in 7th grade at Foshay Learning Center. As a Social Media Manager, my job is to record the videos, to edit them as needed, and to share my team's thoughts on social media. I'm pumped to encourage females like myself to break out of boundaries and try new things! I'd like to either be a book publisher, author, or journalist when I'm older. 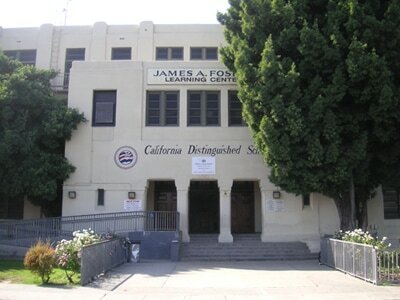 James A. Foshay Junior High School opened February, 1925. Foshay strived to become a California Distinguished School in October, 1995. The school wrote the proposal in December 1995 and in 1996 Foshay received the honor of being named as a California Distinguished School. Later on, Foshay became a Learning Center, which consists of grades K-12. ​ Foshay Learning Center needs to introduce more girls into STEM. Why? We live with students that have the impression that STEM and education itself isn't necessary. We would like to have more representation with girls in STEM and to be able to have an easier way to get college access.